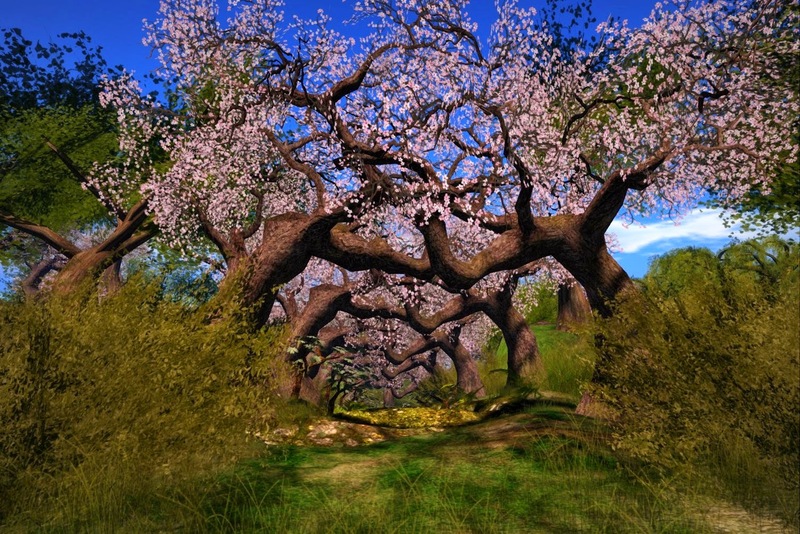 The arrival of beautiful pink petals of the Japanese Sakura, or Cherry Blossom Tree, celebrate the arrival of Spring around the world. 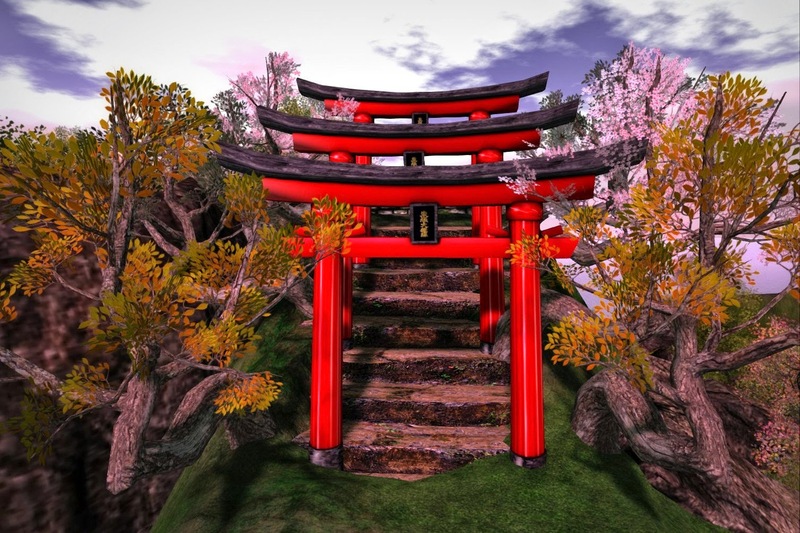 In the Northern Hemisphere, the Sakura leaves arrive in their native Japan and throughout the Northern Hemisphere from mid-March to mid-April. 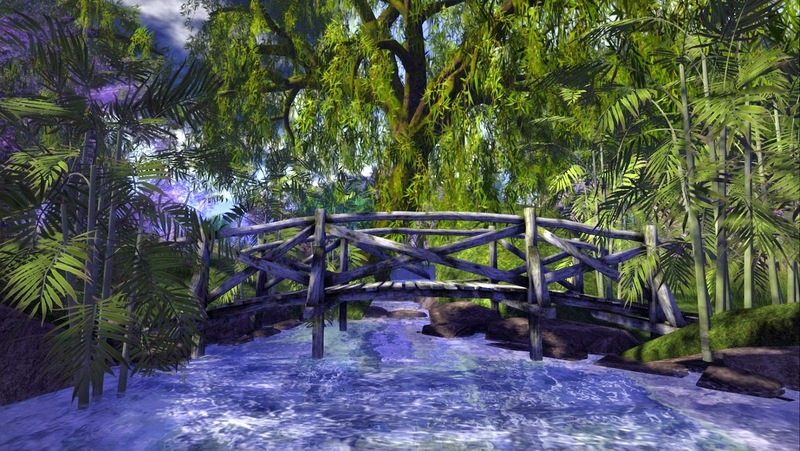 The tree has served as a main goodwill ambassador for the nation of Japan which has donated saplings around the world. 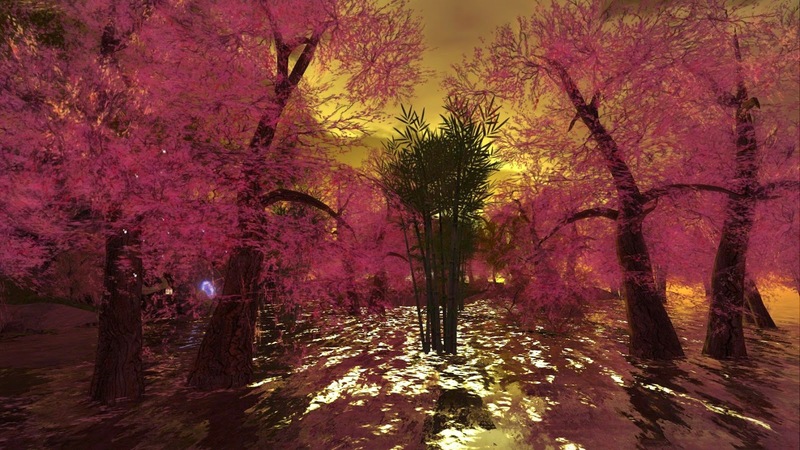 Washington D.C., which first received hundreds of Sakura from Japan in 1912, now has thousands which line the monument -filled Tidal Basin along the Potomac and celebrates the arrival of Spring with a month-long Cherry Blossom Festival, which opens with a huge fireworks display. 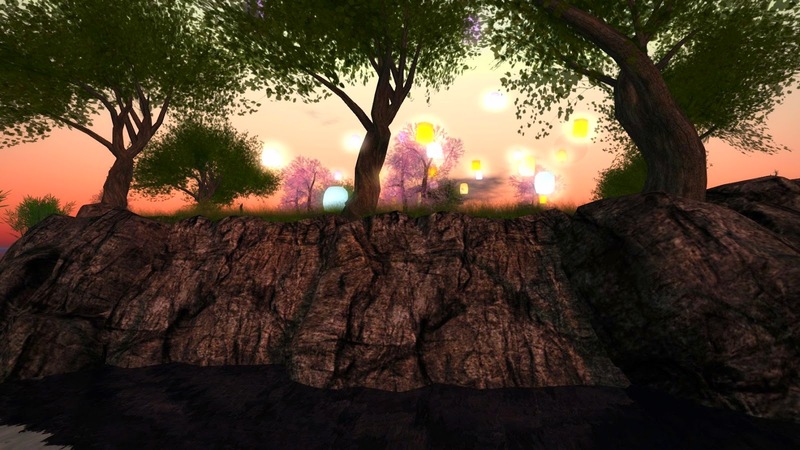 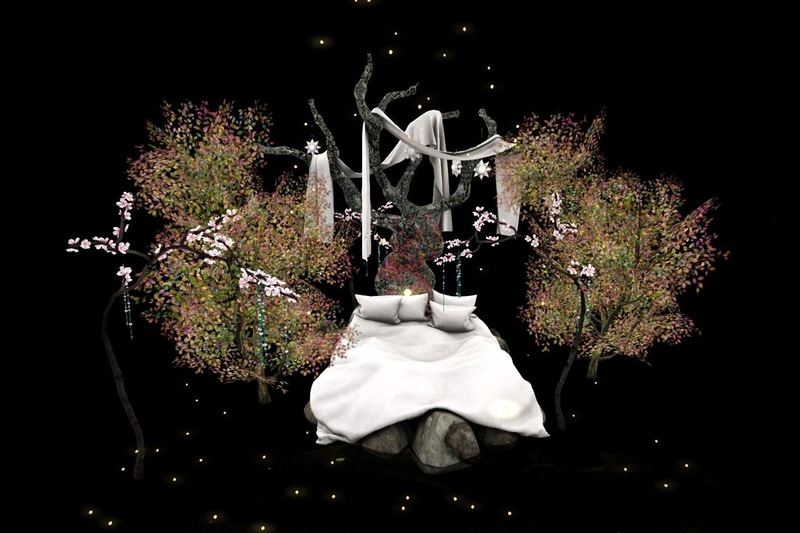 The Japanese-themed Pandora Box of Dreams celebrates the Sakura with one of the nicest natural landscapes in Second Life. 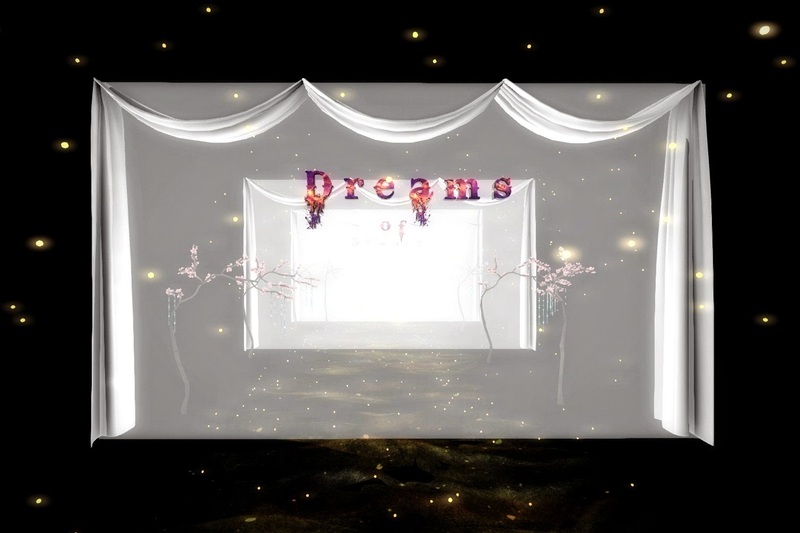 Arrival at the destination places you high up in an atmospheric skybox, walk through the gauze curtains to the room which contains a fanciful bed which is actually a teleport to the earth below. 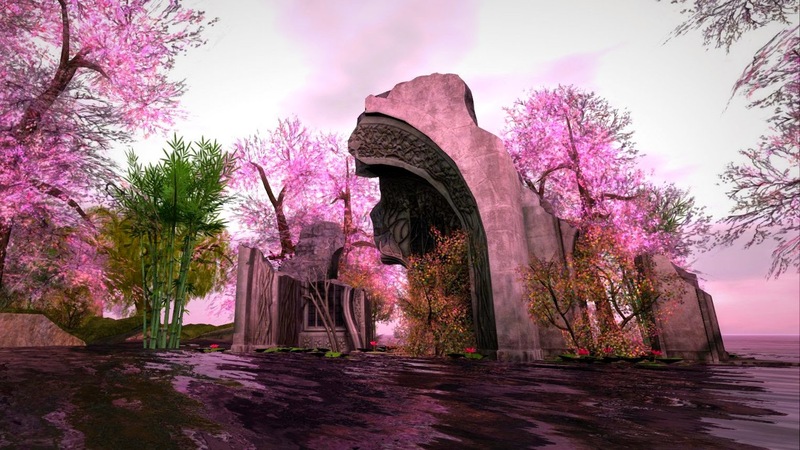 One you arrive, you will find a landscape full of a few ornamental structures like the red gates above, and other assorted ruins and constructions. 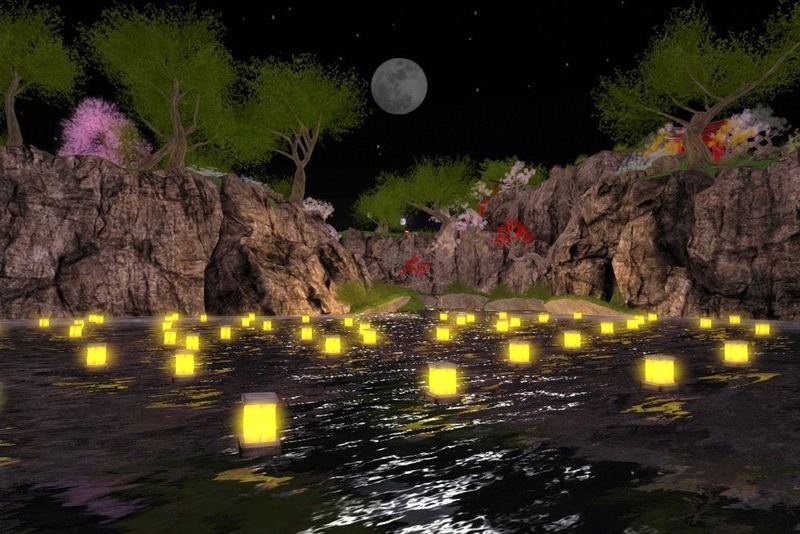 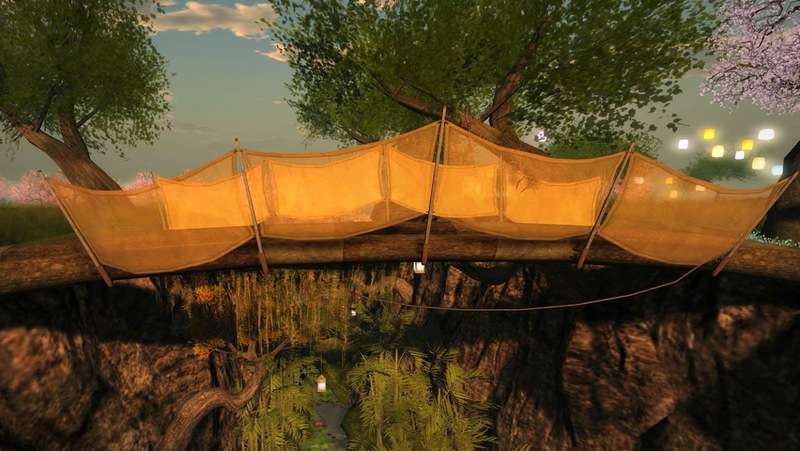 Walk around the island, and other the bridges at different sky settings to catch not only the tree blossoms, but floating lanterns which dot to the surface of the water and float in the sky. 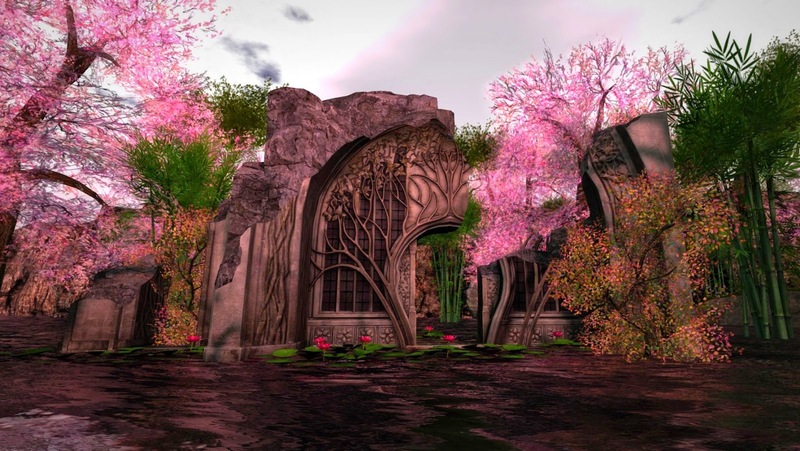 Catch a good look, for this is a Springtime Dream-- and one that will put in the mood for warm days ahead of you reside in colder climes.